TORQ’s new advertising campaign that is being run by our distributors www.paligap.cc is aimed at clearly communicating the reasons as to why TORQ is superior in quality, function and ethos when compared to any of the other brands that are on the market. TORQ is firmly rooted in the UK, so our products are innovated and manufactured in the UK and we feel that it’s important to communicate this in our advertising. TORQ was born from Fitness Consultancy too and this still plays a major role in our day-to-day business, which means that if a customer picks up the phone and speaks to us, they will get an accurate, honest and comprehensive service. We are dealing with athletes every day of the week and as a Performance Nutrition company, we think that’s quite unique. If you phone TORQ, you certainly won’t be sold something you don’t need and we’re qualified to offer advice way beyond the realms of nutrition – we can talk to you about your training too. In terms of the ingredients we use in our products, we source the highest quality, most potent natural ingredients available and we ensure that very latest research-recommended ratios and quantities are used at all times. 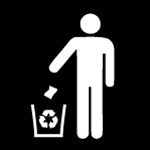 This adds expense to our products, but because we’re a UK firm, our customers benefit from the cost savings that brings.  Our energy bars are made with many fairly traded ingredients and the new packaging features the Fairtrade logo and we also have Soil Association Organic certification on two of our products. 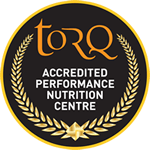 TORQ’s use of the highest quality natural ingredients combined with utilising the latest empirical research and a consultancy service that is simply impossible to replicate is what we feel has positioned TORQ as the highest performing, most respected and most desired Performance Nutrition brand in the world.